For use with “Roll on Roll off skips”. 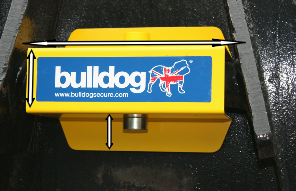 Simply lock in place over the lifting point to immobilise the skip. 25mm hardened steel locking bar with anti drill and pick lock. 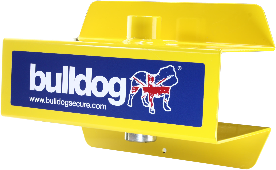 Highly visible yellow powder coated finish.